The ibis Lorient hotel ensures your comfort in a modern room with vivid decor. Lounge and bar area for relaxing, reading newspapers or surfing the web. Reception and snack service available 24 hours a day. Direct access on the RN 165. Free private car par k. Just 10 minutes from Lorient city center and the convention center. Located in the Kerpont district, 2 minutes from the exhibition center and shops. Located 15 minutes from the Guidel beaches and the ferry terminal for Groix Island. Located in the heart of the Lorient region. In close proximity to the airport, beaches, Arsenal, the submarine base, Pont-Scorff Zoo, exhibition center, cinema and restaurants. Easily accessible, free private parking and just 10 minutes from Lorient city center. Free access to the heated outdoor pool at the ibis Styles hotel (seasonal). 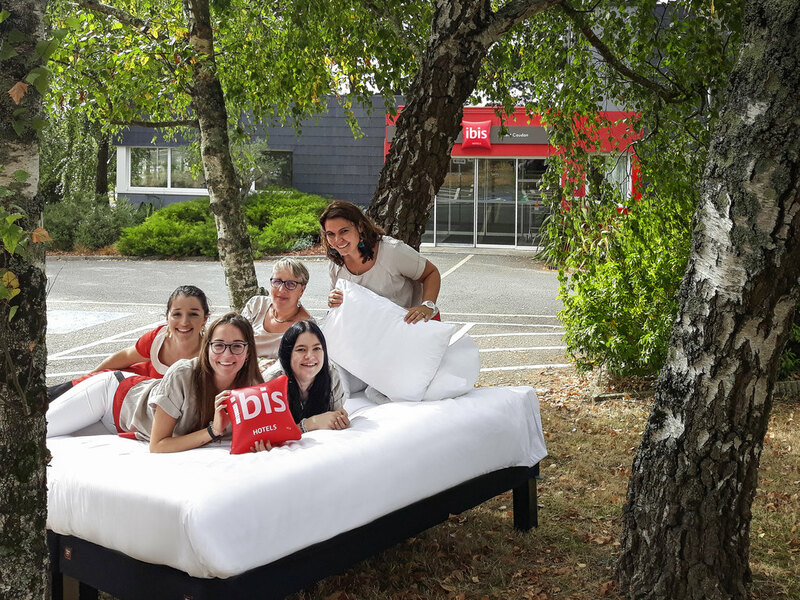 The practical, comfortable ibis room is perfect for work or relaxation and offers everything you need to enjoy your stay: bedding and duvet, large desk, Internet, TV with all the main channels and a pleasant bathroom with shower.